The VMMC Nursing Officer (Staff Nurse) Admit Card 2019 will be released on 19th February 2019 by the officials of the Vardhman Mahavir Medical College. Moreover, the examination for Nursing Officer (Staff Nurse) will be conducted on 28th February 2019. Therefore, the students applied for the post can download the VMMC Staff Nurse Hall Ticket 2019 using the link given at the bottom of the page. Also, we have provided further details like mandatory documents, the selection process in the coming sections. The VMMC Staff Nurse Examination 2019 for 991 vacancies is scheduled on 28th February 2019. So candidates are advised to prepare well for the examination. Also, do not forget to download the VMMC Staff Nurse admit card 2019 which is very necessary for the exam. The officials of Vardhman Mahavir Medical College also planned the selection process for the examination. The selection process includes the written test followed by an interview round. The candidates who receives the VMMC Nursing Officer admit card should attend for the written test which is scheduled on 28th February 2019. Later, the shortlisted candidates will get recruited for the applied post. Check the details on the hall ticket after downloading it. The details may be in the same fashion as mentioned below. Furthermore, candidates have to reach to the examination center 30 min before the exam. So that if there is any issue, you can report it to the corresponding officer at the venue. The aspirants about to attend the VMMC Staff Nurse Examination 2019, go through this section. It is very essential for the candidates to download the VMMC Nursing Officer Hall Ticket 2019. Additionally, you need to carry some documents for the examination. These documents will serve as the identification proofs at the time of the verification process. The list of the mandatory documents is given below. Candidates who are searching for the download process can refer to this section. In this section, we provided the complete step by step procedure to download the VMMC Nursing Officer Hall Ticket 2019. Hence, read the instructions carefully and download the admit cards. Moreover, only the candidates who are eligible and applied for the post will get the admit cards. 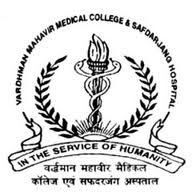 First, aspirants need to visit the official website of Vardhman Mahavir Medical College i.e., vmmc-sjh.nic.in. Now, the home page of the website will get displayed on the screen. On the home page, you can see some modules related to the organization. Now, enter into the latest news and important updates module. In that module, flashing links related to the latest notifications will be displayed. Search for the desired link in that module. As a result, you will get the link. Then make a click on that link. If the link is not found, you can search for the required admit card in the search box present at the top right corner. You will get the link to download the VMMC Nursing Officer Admit Card 2019. Give the details that are asked in that form. After filling, make sure that the details given are correct. Download the admit card and take two or three copies of it. Carry the VMMC Nursing Officer Admit Card 2019 to the examination. The admit card download link will be activated within a few days. Refer to this page frequently to check the updates and download the hall ticket. We hope that the information provided is useful For any queries, contact us at freshersnow.com.